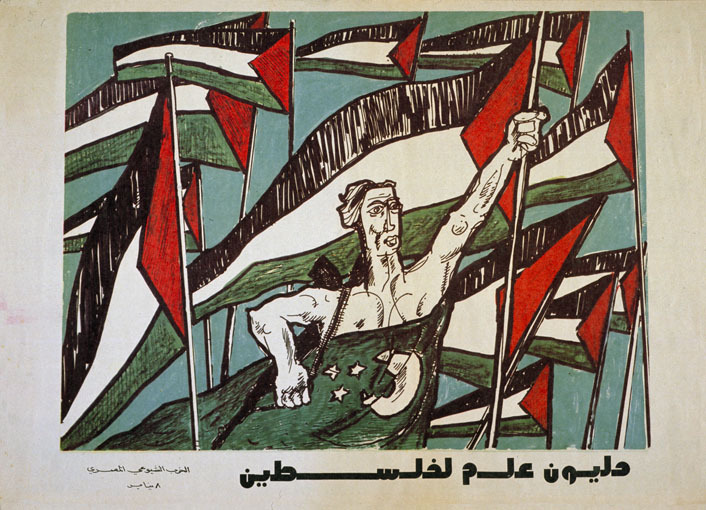 After the Communist party of Egypt dissolved itself in 1965 and was united with the Arab Socialist Union (ASU), many of its members were demoralized. They remained unconvinced of the wisdom of the decision to become completely associated with Nasserism and tried to maintain an independent stance. The disastrous results of the Arab-Israeli war in 1967 provided them with the opportunity to create a nucleus of a new communist movement. Regarding themselves not yet capable of reestablishing a full-blown communist party, the group called itself Jama'at bi-la Ism, `The Group Without a Name'. It published several leaflets under the name of Ahmed Urabi al-Misri, the famous national hero who had led the revolt against the British in 1882, and during the October war in 1973 the group started to publish al-Intisar (Victory). Gradually al-Intisar became a regularly published periodical. When the capitalist and pro-Western policy of Sadat became more obvious, the group decided to reestablish itself as a Communist Party. In January 1974 it formed a founding Central Committee, which issued a lengthy document enumerating the minimum conditions for establishing a Communist party; in August it published a draft program for action for the Egyptian popular forces, and on 1 May 1975 the group finally declared itself the renewed Communist Party of Egypt (CPE). Liberation Graphics essay on "A Million Flags"